Designer Dog Collar Showed by Van Bommel from Germany. 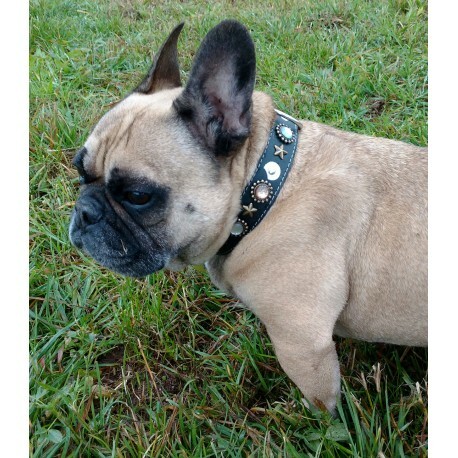 Designer Dog Collar with Stones and Moon Shape Leather Patches. This Great Design has beautiful Polaris stones and leather patches in the shape of the moon. A very striking design! Many thanks Petra & van Bommel!